The leading organisation for applied research in Europe, Fraunhofer-Gesellschaft, has partnered up with Australia’s not-for-profit, independent cooperative research centre, the Innovative Manufacturing CRC (IMCRC) in order to boost the awareness and uptake of Industry 4.0 technologies and innovative business models by Australian manufacturers. 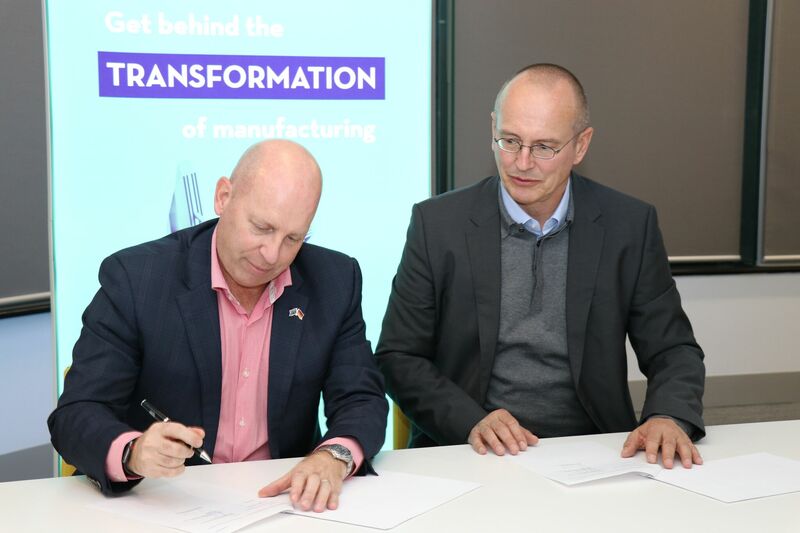 In a media release to Australian Manufacturing, IMCRC’s CEO and Managing Director, David Chuter states that the Agreement with Fraunhofer is basically a confirmation of the work that is already being done towards the endorsement of the uptake of Industry 4.0 and other advanced manufacturing best practices and methodologies within the manufacturing industry in Australia. “IMCRC is committed to transforming Australia’s manufacturing industry from its reliance on capital and labour-intensive production, to an industry realising new commercial opportunities driven by innovation in all aspects of manufacturing,” he says. According to Innes Willox CEO of the Australian Industry Group, Chair of the Industry 4.0 taskforce in Australia and Director of IMCRC, the relationship between these leading organisations has been flourishing for three years and as a result, the manufacturing industry in Australia has already begun to see the expected benefits. “The IMCRC has been working with Fraunhofer since 2015, so we are delighted to establish this formal arrangement to broaden the opportunities for collaboration going forward. This also represents an important initiative within our overall research and innovation strategy for industry 4.0 in our region to catalyse investment in advanced and digital manufacturing,” he says. “We see significant potential for Australia’s manufacturing sector to increase both its competitiveness and global relevance through uptake of industry 4.0 and advanced and digital manufacturing best practice, and this will continue to strengthen research and innovation links with Germany,” adds Frank Wagner, Head of Strategic R&D Cooperation at Fraunhofer IAO.